Kensington Natural Smiles provides composite white fillings in Kensington, MD. Call 301-933-3903 to learn more and schedule your appointment. A cavity is a hole in your tooth that provides entry for food debris and bacteria. Untreated cavities will worsen over time, gradually requiring more invasive and expensive restorations such as crowns and root canals. Eventually, an untreated cavity could actually cause you to lose the tooth. Fortunately, when caught early, a cavity can generally be fixed with a simple composite white filling. What Can I Expect from a Filling? A filling fills the hole left behind by a cavity. During your appointment, we will clean out all traces of bacteria and decay, and then fill the hole with a composite white filling. The first step is to thorough numb the tooth and surrounding tissues with a local anesthetic. Then we will remove all of the decayed tooth structure. You will feel some pressure and hear some noise, but you should not experience any pain. 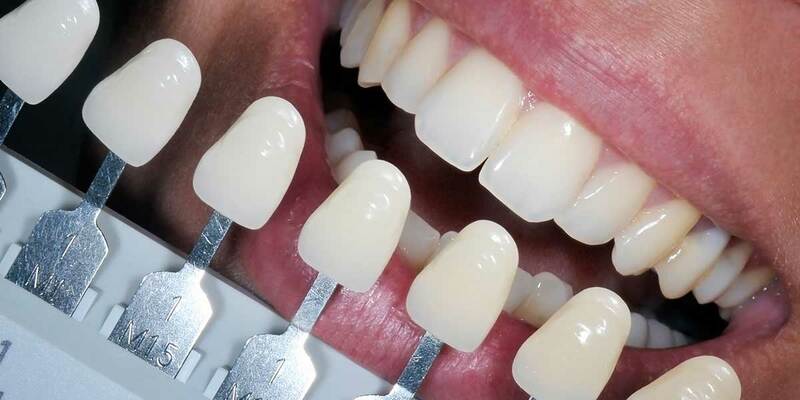 When the hole is clean and smooth, we will fill and seal your tooth with composite resin. The most commonly used filling material today, composite resin can be precisely color matched to the tooth, creating a virtually invisible restoration. Highly durable, composite resin fillings typically last for years with proper oral hygiene. We insert the resin into your tooth in the form of a paste, which we then shape and mold to exactly fill the hole. We build it up in thin layers to ensure better blending, and then rapidly harden it with an ultraviolet light in a process known as “photo-polymerization.” The completed filling is safe, functional, durable, and extremely aesthetic. Metal amalgam fillings were once the treatment of choice, but they do have several drawbacks. Metal amalgams are sensitive to heat and cold, which can lead to a sensitive tooth. Dental x-rays cannot penetrate a metal amalgam filling, increasing the risk for hidden decay. In addition, metal amalgam fillings are retained mechanically rather than chemically bonded to the tooth. The required undercut puts the tooth at higher risk for cracking. You may also have heard concerns about mercury in metal amalgam fillings. The official position of the American Dental Association is that these fillings are safe. However, mercury vapor can potentially leak out as these fillings go through different thermal cycles of functioning. If your tooth has a large cavity or decay in more than spot, we may recommend an inlay or an onlay. Made of cast gold alloy or, more commonly, dental porcelain, inlays and onlays can protect the tooth. An inlay sits between the tooth’s cusps, while an onlay covers one or more cusps. We will take impressions and create a precise model of your tooth to ensure that the restoration is a perfect fit. Call Kensington Natural Smiles today at 301-933-3903 to schedule your appointment.